This First Day Cover dated February 20th, 1962 has been signed by 4 members of Mercury Seven including John Glenn, Scott Carpenter, Alan Shepard and Gus Grissom (The Gordon Copper signature was applied with an auto pen). The Mercury Seven were the group of seven Mercury astronauts announced by NASA on April 9, 1959. They are also referred to as the Original Seven or Astronaut Group 1. 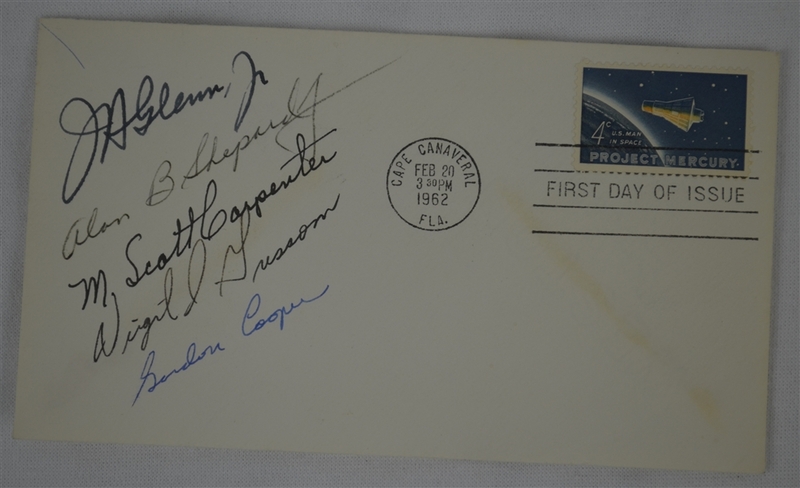 They piloted the manned spaceflights of the Mercury program from May 1961 to May 1963. 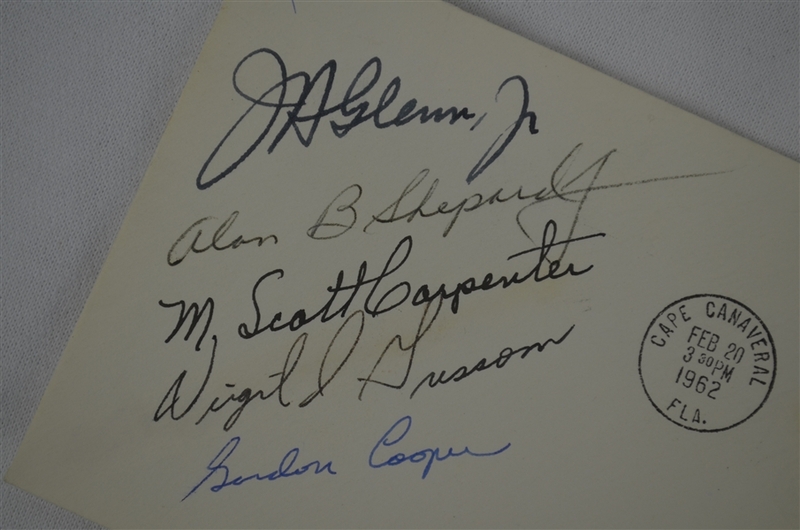 These seven original American astronauts were Scott Carpenter, Gordon Cooper, John Glenn, Gus Grissom, Wally Schirra, Alan Shepard, and Deke Slayton. 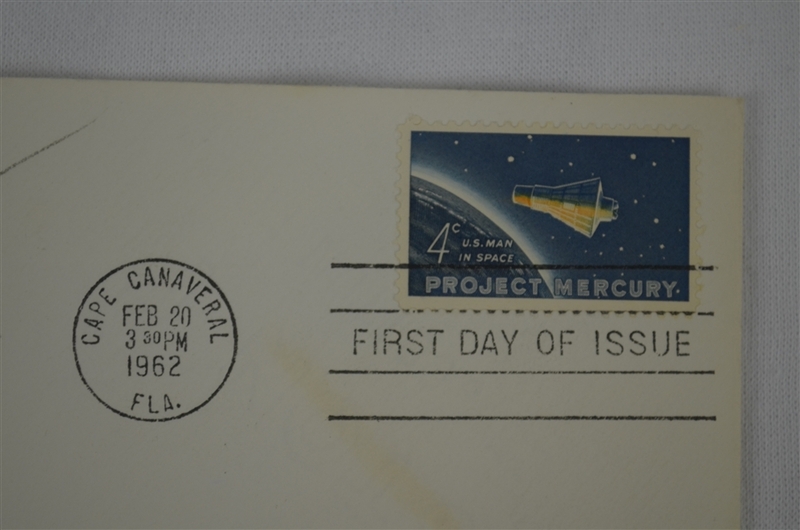 Members of the group flew on all classes of NASA manned orbital spacecraft of the 20th century — Mercury, Gemini, Apollo, and the Space Shuttle. Gus Grissom died in 1967, in the Apollo 1 fire. The others all survived past retirement from service. John Glenn went on to become a U.S. senator and flew on the Shuttle 36 years later to become the oldest person to fly in space. He was the last living member of the class when he died in 2016.